This week I only managed a few hours during the week. Got more done on the weekend though. I decided to put the mooring bitt in. wasn’t sure I wanted it at first, but now I like the look. 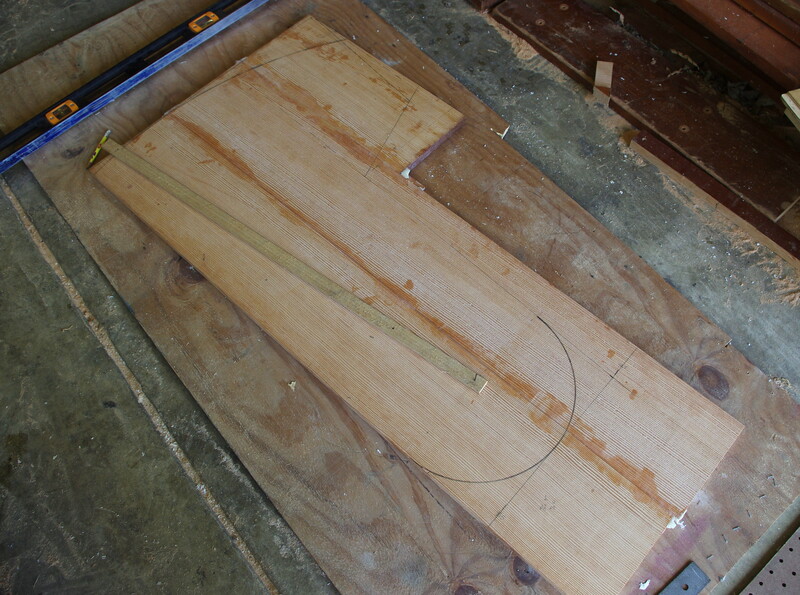 And if I use a plank bowsprit with a balanced jib at some point, I’ll be glad I have the bitt. It’s just a dummy bitt in there now – it’ll get a better piece of wood. 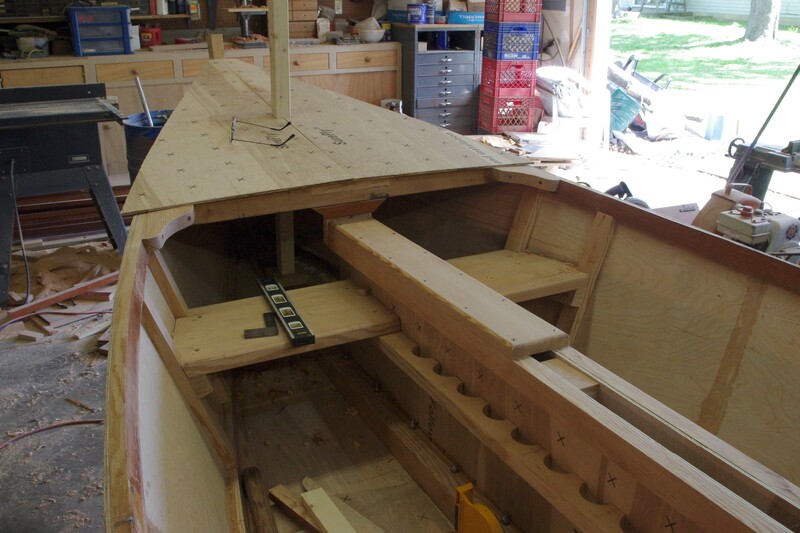 Got a couple knees up front put in and played around with the front deck to see how it will look. 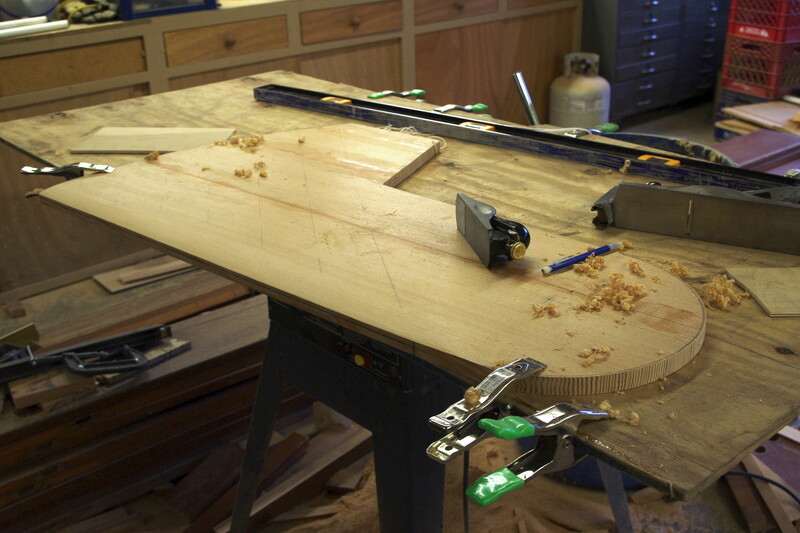 And got the centerboard glued up, cut out and started shaping it to a “somewhat foil” shape. We”ll have to wait and see if it’s actually a foil or not when I’m done. I did plot the foil curve and cut out a template NACA 0009 and cut it in half to use at either end. My board is wider. Once the foil is cut then both sides will get sheated with 1/4″ ply as described in Parkers book. It’ll be a fun project. In the one pic you can see the board in the down position in the boat. It hangs down 19 1/2″ and there is still quite a bit of board in the trunk at that point so it should be pretty solid, I hope. 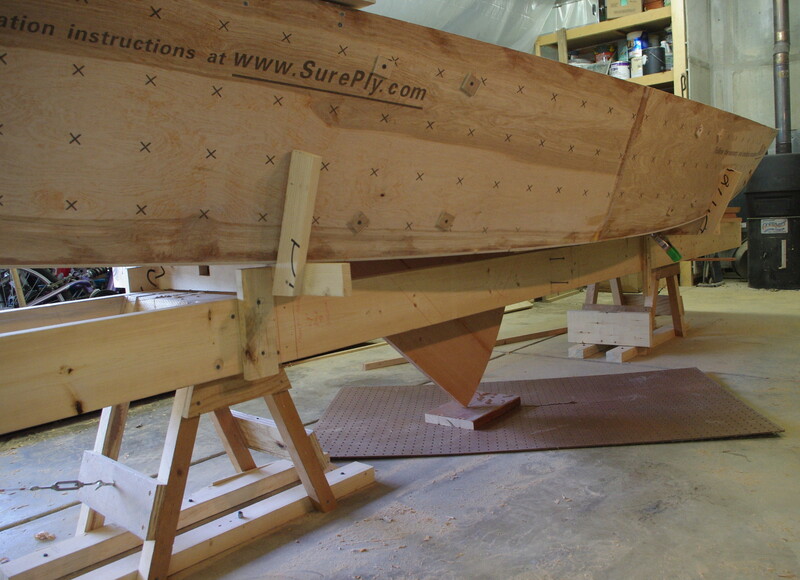 This entry was posted in Sharpie build and tagged boat building, centerboard, centerboard trunk, sailboat, sharpie sailboat, wooden boats. Bookmark the permalink.